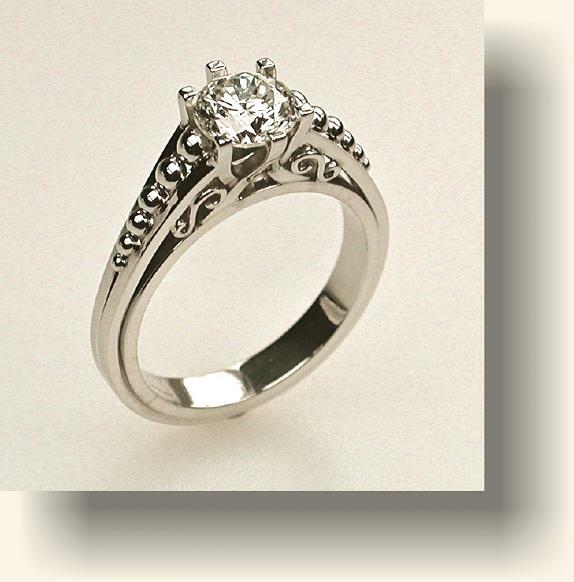 Hand-fabricated in Platinum with a prong set Diamond center. Flanked with graduated rows of spheres. Filigree detailing.